The favorite run continues in the UFC, as Partick Cote and Randy Couture were the only underdogs to end up victorious at UFC 74. This follows two UFC events completely swept by the favorites, reversing the early summer trend of underdog-friendly betting cards. While this installment of the Ultimate Fighting Championship will be aired for free on SpikeTV, it will be tape-delayed for North American viewers, as it is part of UFC’s recent push to go international, this time in London. Here’s a preview of Saturday night’s fights, with current odds from BetOnFighting. Liaudin submitted Dennis Siver back in UFC 70, but has an unaccomplished career otherwise. Torres is undefeated but untested, last having beaten Pat Healy at Fight Night 6. I am inclined to go with Torres, though the long layoff and lack of competition make this a lean only. Siver was submitted by Jess Liaudin in his debut at UFC 70. Kotani also lost his UFC debut, being decisioned by Thiago Tavares in UFC Fight Night 9. Neither has much experience or has shown anything particularly noteworthy, so this fight is a pass for me, with a lean towards Kotani. Prediction: Kotani, 3rd round submission. Drwal is out of Polish MMA, debuting in the UFC after fighting in very small promotions against unknowns. Silva is out of the Brazilian Chute Box camp, and won his debut in UFC 71. While Silva is the likely winner, I can’t recommend laying money against a young and relatively unknown fighter like Drwal at these odds. Prediction: Silva, 1st round TKO. This bout features two submission specialists. 9 of Etim’s 10 wins have ended by submission. Tibau is better-rounded, and has a significant edge in experience. I lean towards Etim, although he hasn’t really been tested yet and could be due for a letdown. Prediction: Etim by decision. Sakara’s last 3 UFC fights have all ended in the first round – unfortunately, 2 of them were losses for “Legionarius”. Alexander is coming off a 1st round TKO of Keith Jardine in his UFC debut back in May. Alexander won’t have to worry about launching his hip-hop career when he beats Sakara convincingly on Saturday night. Prediction: Alexander, 1st round TKO. British Paul Taylor will be receiving the hometown support here, but that might not be enough to overcome Davis, a talented striker who has won nine straight since the TUF 2 finale. Taylor debuted in the UFC the last time it was held across the pond (UFC 70 in April), winning in a 3rd round TKO. Home field advantage won’t be enough here, and I see Davis winning by strikes. Prediction: Davis, 2nd round TKO. Cro Cop was supposed rise straight to the top upon entering UFC; Gabriel Gonzaga had different plans. Kongo holds a decent advantage in size, 2″ in height and 20 pounds, and has been moving up the UFC ranks quickly. Unfortunately, he has the misfortune of facing Filipovic, who should bounce back strongly after his fluke loss to Gonzaga. Cro Cop is still an elite fighter, and laying 4-to-1 with this caliber fighter against a much less experience opponent is quite reasonable. This bout features two TUF 3 alumni who were highly regarded during their reality TV stints. Hamill has the edge in power and wrestling, but Bisping’s experience and all-around talent should give him a substantial edge. While both looked competitive in the early going, Bisping has proven to be the much better fighter during his time in the UFC, and Hamill has shown plenty of weak spots that can be exploited. Prediction: Bisping, 1st round TKO. This main event marks the true assimilation of PRIDE into the UFC. Henderson is the PRIDE middleweight and welterweight champion, the first person to hold both titles simultaneously. He will look to add UFC Lightweight champion to those accolades, a title Jackson took from Chuck Liddell back in May. Jackson has only lost 3 fights since 2001, falling to Mauricio Rua and twice to Wanderlai Silva. Coincidentally, Henderson’s last fight was a win against Silva. This is a battle of two great fighters that is too close to call. I’ll lean towards Henderson, with his great wrestling skills, at the plus-money. Prediction: Henderson, 3rd round TKO. MMA Odds Maker Nick Kalikas and www.BetOnfighting.com have released this weekends Official UFC 75 “Champion vs Champion” Odds. This is quite possibly the UFC’s most active month in the organization’s history. Sandwiched between the phenomenally deep cards of UFC 74 & 76 is the first title unification bout since the acquisition of PRIDE FC. The title bout features the amicable & entertaining Quinton “Rampage” Jackson and stalwart multiple belt-holder, Dan “Hollywood” Henderson. The rest of the fight card promises to be entertaining & title implications surround several fights in several weight classes. Stand-up in particular will be the theme of UFC 75, so it promises to be exciting. The best part is: the event is free! On the heels of his magnificent knockout victory over the longtime reigning 205 lb. champ, Quinton Jackson’s stock has never been higher. Never before did rise to the occasion in such fashion and it doesn’t look like he’s going to slow down anytime soon. Does this remind you of anyone else? It should. The same can be said about the new PRIDE champ, Dan Henderson. He, too is coming off of the biggest win of his career; a dominating performance over the incumbent champ. All we keep hearing is how much bigger and stronger Jackson is, when compared to Henderson (who is also the reigning PRIDE 183 lb. champ). To be sure, “Rampage” is a freak of nature. The man has demonstrated the ability to lift & slam his opponents, even when in precarious positions. That in mind, we’ve been down this road before. “Hendo” continues to flourish even after stepping up in weight. 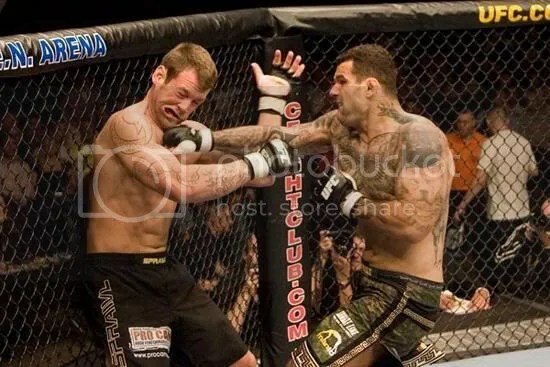 His most recent victims have been the established and well respected Vitor Belfort and Wanderlei Silva. Like his former teammate & current champ, Randy Couture, Dan finds a way. He continues to prove us all wrong. Going against the grain can be a risky proposition, but it also pays well when you’re right. Dan will be the better conditioned, better prepared, and functionally stronger fighter. It’d be foolish to say that he won’t be slammed at all, but he’s never been stopped in MMA outside of the Nogueira submissions. Coming from an Olympic wrestling background, sporting a terrific chin and much improved standup, Dan Henderson will obtain his third major MMA belt. The biggest question surrounding this heavyweight slugfest is simple: Which Cro Cop will show up? The Mirko we’ve seen for years in PRIDE; the very man who won the Open Weight Grand Prix a year ago; the perennial top-five heavyweight…or… a sluggish, ill-prepared, and out of shape Cro Cop. If the latter shows up to fight, he may be in for a rude awakening. Anyone who plans to stand & trade with Kongo would be well advised to come prepared. The Frenchman has the tools to stop anyone in his tracks, even the great Cro Cop. If you believe Mirko’s lost his focus and is looking past Kongo, Cheick is set at pretty juicy price. I, however, don’t believe it. While the value may be there in the underdog, I refuse to buy into the majority of the skepticism surrounding Cro Cop. He has been training with great intensity and will make quick work of the French striker. Mirko will quickly prove his worth and silence the critics by cementing his place as the top contender for the UFC heavyweight crown. Also on the card is a pair of undefeated fighters, in what is being called “The Finale We Didn’t Get to See” (to The Ultimate Fighter 3). Britain’s own Michael Bisping looks to continue climbing the 205 lb. ladder when he takes on outstanding wrestler & fellow TUF veteran, Matt Hamill. A serious clash of styles is represented in this match-up. There’s little question where each combatant wants the fight to take place. Bisping wants to keep the fight standing, plain and simple. If he has his way, Hamill will not last long. He’s not terribly resilient and has demonstrated a serious aversion to getting hit. Hamill, conversely, is a top of the line wrestler and wants to get Bisping onto his back, fast. Unfortunately for Bisping, his takedown defense is one of his weaker assets. As the fight progresses, we will see Hamill establish himself as the physically superior athlete. He’s bigger, stronger, and with his wrestling pedigree, he will get Bisping down. I don’t see the hometown Englishman getting back up. Good value on Hamill at +200. Stand-up MMA enthusiasts will certainly have their fill this Saturday, and this duo of Light Heavyweights will not disappoint. Each fighter is coming off of an impressive first round knockout; Alexander in particular shocked the world by stopping Keith Jardine dead in his tracks. An impressive physical specimen, he is set to prove that his victory was not a fluke when he takes on another UFC veteran in Alessio Sakara. Sakara is a dangerous boxer with roots in Brazilian Jiu-Jitsu. He relies more on his striking than his ground game, which can be a dangerous game plan when facing a lethal striker like Alexander. We’ve seen Alessio involved in several wars already in the UFC, and he certainly knows how to finish. Alexander, on the other hand, in his win over Jardine showed that he is difficult to contain when he moves forward. All things considered, I am not convinced after one fight. Sakara’s fans have already bet him closer to even in what I deem as more of a pick’em than the line would suggest. Sakara’s the better bet at +135, and is certainly worth a play if his payout increases. In a difficult fight to handicap, constantly improving Marcus Davis (of TUF 2 fame) takes on Britain’s own, Paul Taylor. Davis is an accomplished boxer who has developed into a fine mixed martial artist. He has grown by leaps and bounds each and every time we’ve seen him, displaying the ability to end the fight either standing or on the mat. Taylor is back in the UFC following an impressive victory over the previously unbeaten Edilberto “Crocota” de Oliveira. Davis, being the more seasoned fighter with four consecutive UFC victories is the rightful favorite, but he’s not had the toughest competition. That in mind, it’s tough to say just how good he is. How he will handle being on his back against Taylor? If he is getting the worst of the stand-up exchange, does he have the tools to get the fight to the ground? Taylor will likely find out the answers to these questions first hand, as he’s an in-your-face type of fighter. My pick is Davis to continue his impressive streak, but if the price rises on Taylor, he’s worth a shot. If I had to choose one ‘dark bout’ to make the televised card, this would certainly be the easy choice. In what promises to be the most technical grappling match of the night, these two impressive lightweights look to build off of their recent successes. The 6’1 Etim, of England, ordinarily holds a massive size & reach advantage over his opponents at 155 lbs. He uses his frame effectively to nullify his opponents’ standup and showed off his submission skills in his UFC debut, utilizing his length to create serious leverage in a guillotine choke. 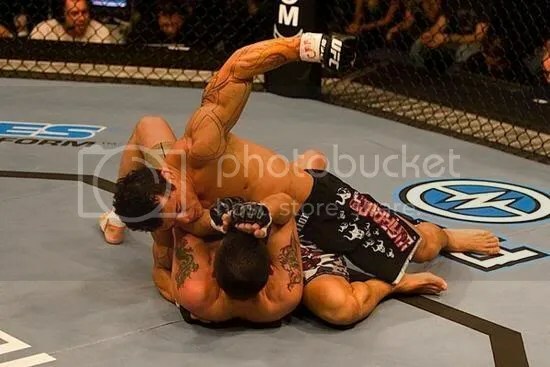 Tibau, however, is a very big lightweight in his own right. In fact, his first UFC fight was at 170 pounds, against Nick Diaz. Etim will not be able to show Gleison anything he has not seen before, and he will be overpowered for the majority of the fight. It should be a terrific fight, and I hope we get to see it. I’d bet on Tibau before the he gets above -200. We hoped to see just exactly what Silva could bring to the table in his UFC debut. Although he got the victory, it was mainly due to a freak injury to the knee of James Irvin. The same questions still surround Thiago: Just how good he can be? Is he indeed the next generation of Chute Box? Following in the footsteps of Wanderlei Silva, Mauricio “Shogun” Rua, and a host of others, Thiago remains unbeaten and poised to take the UFC by storm. Opposing him Is Drwal, who sports an impressive 14-1 record, but has certainly not fought fighters the caliber of Silva thus far in his career. Look for Silva to make his presence known in the UFC with an exciting win. Japanese submission specialist Naoyuki Kotani meets submission-susceptible Dennis Siver in a 155 lb. affair. Kotani has faced some of the best in the world, and although he is 0-1 in the UFC, he is still a very dangerous fighter & grappler. 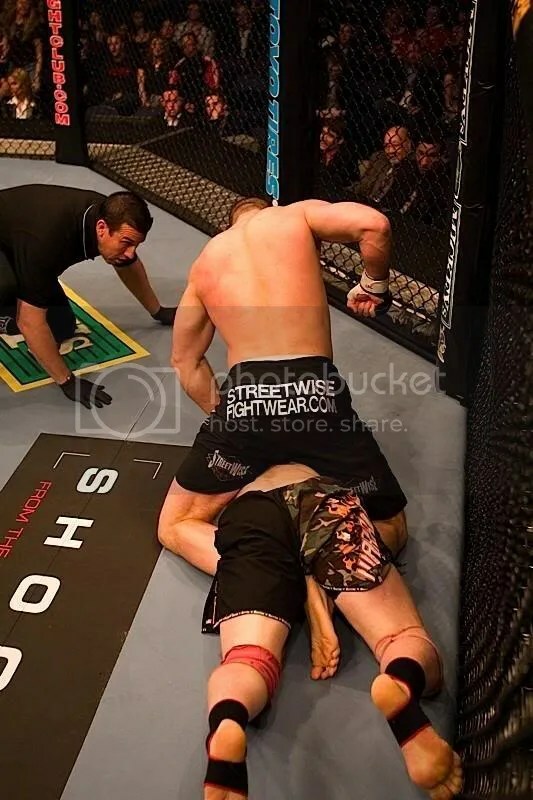 Siver, a highly touted European mixed martial artist and impressive athlete, has fallen onto his face on more than one occasion as soon as the fight hits the mat. While he possesses the tools to one day become a successful fighter, he needs to seriously work on his submission defense. Kotani’s a very good bet if the line dips closer to -150. In yet another tough fight to gauge, journeyman Jess Liaudin takes on TUF 2 veteran, Anthony Torres. Torres has been out of MMA action for quite some time, and one has to wonder what kind of effect such a layoff will have on the BJJ practitioner. Liaudin’s record may not look like much, but it would not be wise for Torres to take him lightly. “The Joker”, Liaudin, is a very crafty and intelligent fighter. The odds makers have hit this tilt right on the nose, as it’s very difficult to predict. The biggest factor, in this bettor’s opinion, is Torres’ ring rust. Given Liaudin’s ground skills, it’s unlikely for Torres to get a stoppage easily. Bet Liaudin if his odds get to even (or underdog). –Please bet responsibly! Enjoy the Fights! A couple of important points about parlaying fights. First, it becomes more important to find the betting site with the best odds. Your payouts are multiplied (2.6x for 2 man, 6x for 3 man, 12x for a 4 man,) so the difference in a couple fighters listed at -120 instead of -140 can mean and additional $100 in your pocket. Here’s our Parlay Calculator to help you with payoff figures. Second, heavily favored fighters add very little value to the payout. So, lets leave them out of our parlays. The reward does not justify the risk or the anguish you will suffer after hitting 3 fights only to watch Matt Serra steal your treasure in the main event. I like to identify a fighter, or two, that I think is a very likely winner and make that fighter my “key.” I then use my key fighter to build several combinations. Matt Hamill is my key for UFC 75. There are the combinations I like in the featured fights. I particularly like # 1, 2, and 4, so I will bet a little more on each of those combinations. Kongo is the 2004 and 2005 Federation King of the Ring World Champion Netherlands, 2004 Muay Thai World Champion Kosovo, and 2005 Federation King of the Ring World Champion Croatia kickboxer. His training for this fight has been with Michael Bisping, Brandon Vera, and the UFC Light Heavyweight Champ Quinton “Rampage” Jackson, among others. Cro Cop, on the other hand, although widely considered to be the better of the two kickboxers, doesn’t hold any championships in kickboxing. He did, however, win the Pride FC 2006 Open Weight Grand Prix in very convincing fashion, disposing of Wanderlei Silva and Josh Barnett in about eleven minutes total at Final Conflict Absolute. Cro Cop has been training with Remy Bonjasky, Dean Lister, Ivan Hyppolite (his new coach) and Gilbert Yvel, who beat Kongo a few years ago. The training has been focused mostly on stand up fighting which seems like a smart strategy considering both fighters’ backgrounds. The fight will probably be a striking war, with neither fighter having to worry about subs, although Lister is one of the best BJJ guys around, so it kind of seems like Cro Cop could be going for the unexpected submission. I see Cro Cop taking this fight. As for betting; Kongo (+320) is the better value bet, having the ability to end the fight quickly, but Cro Cop is probably the safer bet, even at -390. Hamill, who trained with Tito Ortiz at Team Punishment for a while, is now at his own gym in Utica, New York. This move doesn’t give me much confidence in a victory for Hamill, especially considering that “The Count” has been training with top level fighters such as Cheick Kongo, Brandon Vera, and “Rampage” Jackson, among others in Big Bear and at Wolfslair Academy in England. Jackson’s wrestling should give Bisping a lot of help in neutralizing Hamill, and Vera’s Muay Thai and BJJ should help round out his arsenal. This will definitely be Hamill’s toughest fight to date. Bisping has said that he sees this fight as a step down in competition. I believe if he can stay focused and take the fight seriously, he will win and hopefully will get to fight someone everyone can agree is a top LHW contender. Houston Alexander makes his return to the Octagon after knocking out Keith Jardine to face Alessio Sakara. Sakara, who fights out of the 360 Combat Club, is known for his boxing, but is also versed in BJJ. Alexander, who fights out of Mick Doyle’s Kickboxing and Fitness Center in Omaha, is primarily a kickboxer, but can also wrestle. These two fighters’ styles seem to match up well and should result in an exciting fight. Personally, I think Alexander (-200) will win, but if you are a bettor, Sakara (+170) might be your man in this one.